​Almost every human endeavor—from sports to business—relies on teamwork. The idea that a group of people working together toward a common goal can accomplish more than any single person working alone is so widely accepted that it has become common wisdom among people everywhere. You already know that Office 365 is designed to help you be more productive—whether you’re working alone or as a member of a team. Teamwork is also a big part of what makes Office 365 so successful. Microsoft recently teamed up with 20 new partners to make our productivity applications and services available on wide range of Android tablets. We also welcomed three new partners to the OneNote ecosystem. And we explained how Equivio Zoom, a tool developed by Equivio, the eDiscovery software company that Microsoft acquired earlier this year, is helping Office 365 users gain a deeper understanding of their data. Before teamwork can happen, however, people need to have a reason to join your team or to make you a member of theirs. That’s why we keep improving Office 365. In the past couple of weeks alone, we announced the seamless integration of Dynamics CRM Online with Office 365 for even greater productivity, made Advanced Threat Protection more widely available, and showed you a host of new ways to get more done in Outlook.com. We also announced a new way to create connectors in Office 365, and started rolling out Sway to Office 365 business and education customers while adding support for six more languages and making other improvements to help you unleash your creativity. If you’re not already using Office 365, maybe it’s time you joined the team. 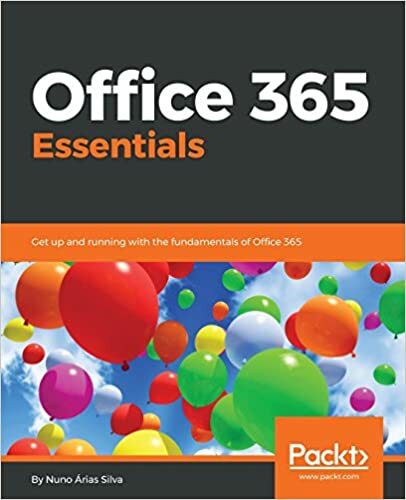 The Benefits Of Office 365 For Small Business – Learn how the features in Office 365 help small businesses succeed. No wrong door – Find out how King County, Washington, uses Office 365 to keep employees connected and provide better customer service. Achieving greater accuracy and better product launches with Office 365 – Discover how Dana Holding Company, a leading auto parts manufacturer, uses Office 365 in its business. Marine Rescue Queensland trains squadrons with Office 365 – Learn how the Marine Rescue Queensland in Australia uses Office 365 to train and manage its volunteer workforce. Microsoft Office and Skype will come preinstalled on new Sony and LG Android tablets – Find out how Microsoft is making Office, Skype and other apps available on more devices. 10 Ways to Secure Office 365 – Learn about 10 security features that are available (or coming soon) in Office 365. Ministry of Defence embraces cloud apps with Office 365 move – Find out why the UK Ministry of Defence is moving to Office 365. Union Bank becomes the first bank to implement Microsoft Cloud Technology – Union Bank is the first bank in Sri Lanka to move to Office 365. Find out why. Teachers to get free Office 365 – Discover how 12,000 educators on Malta are getting Office 365 for free as a result of a Maltese government partnership with Microsoft. New engineering philosophies drive innovation within Office 365 – Learn about some of the changes that are leading to greater innovation in Office 365. Updates make Office 365 Groups more useful – Find out more about the benefits of Groups for Office 365, what’s already in place and what Microsoft has announced as part of the roadmap.